In November 2018, VMware announced that we reached a critical milestone of becoming a certified CarbonNeutral® company, in accordance with The CarbonNeutral Protocol, two years ahead of schedule. Our strategy for getting to this milestone involved addressing emissions reductions from multiple angles including: 1) our own technology as digital infrastructure that enables our customers to reduce carbon emissions, 2) innovative projects that we are driving; such as our Palo Alto microgrid and 3) advancing innovation at the local level by financing low-carbon sustainable development projects. In this article, we aim to illustrate the impact of low-carbon sustainable development projects and their connection to our carbon neutral journey. Changing the world’s relationship with energy is a global challenge, but we can’t tackle global challenges if we don’t address root causes at the local level. That’s why we think beyond virtualization and energy efficiency and work with businesses that reduce emissions and generate other co-benefits in rural communities. In this case, that community is in Guatemala. 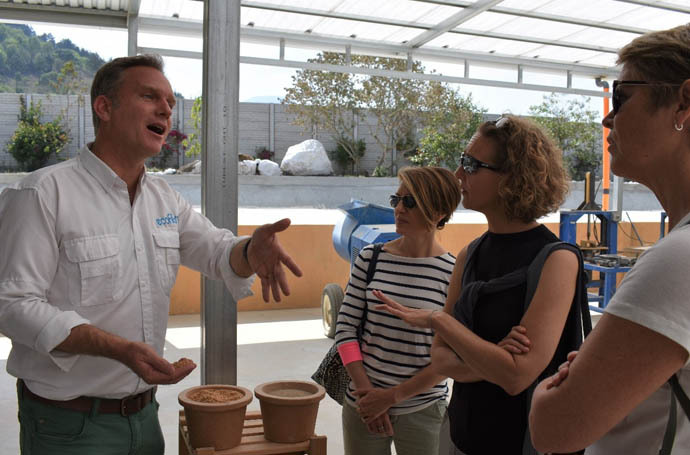 In early 2018, VMware provided carbon financing to a water filter project in Guatemala, Ecofiltro. 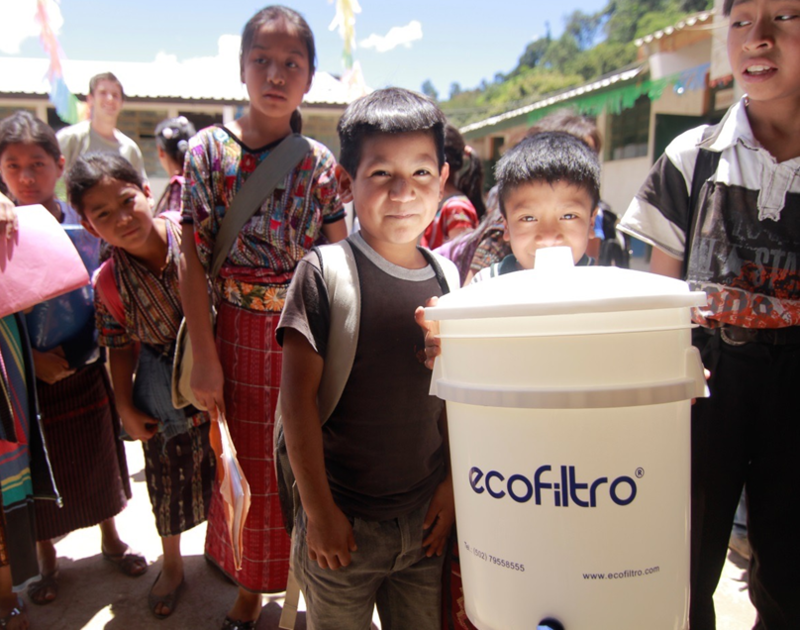 This funding enabled Guatemalan families to purchase clay water filters and clean cookstoves. These clean energy technologies provide families with a vital source for clean drinking water, as well as a replacement for their fossil-fuel-burning stoves, enabling a positive ripple effect of co-benefits to the environment and the health of the community. For us, this project brought to light the many connections between what appears to be a relatively simple technology and the numerous touchpoints it can have to positive global impact. For example, providing a water filter means less deforestation because families no longer have to cut down carbon-absorbing trees to boil water on their wood-burning stoves. Especially considering the country has already lost 15 percent of its total tree cover since 2010, which is equivalent to 71.4 metric tons of CO₂ emissions, according to the Global Forest Watch. The project improves community access to clean drinking water by introducing clay water filters to rural Guatemalan regions. These types of affordable, reusable water filters are simple to use and proven to reduce bacteria in water. The project also makes fuel-efficient, clean-burning cookstoves more affordable to low-income households in rural Guatemala through microfinancing. (Currently, less than half the total population has access to clean cooking fuels and technologies.) This helps decrease their reliance on carbon-absorbing wood for fuel, subsequently reducing indoor air pollution. In a country where eradicating water-borne disease is a national priority, the provision of ceramic water filters in homes not only helps to save lives, but also saves the environment. With carbon financing from VMware’s purchase of carbon offsets, the water filtration and efficient cookstove project operates as a sustainable social enterprise. Manufacturing takes place in the country, and the project employs local workers for manufacture, sales, distribution, and post-sales support. One reason we chose to finance this social entrepreneurial project is that it offers a long-term, sustainable and scalable business model. The project’s microfinancing model enables low-income families in Guatemala to purchase clay water filters and clean cookstoves with interest-free loans that remove upfront costs. Support of the project isn’t philanthropy, but rather a carbon finance approach that facilitates financing projects that change systemic behaviors at a local level and build community capital with the potential to create lasting change. Carbon financing empowers local communities to develop their own environmental and economic sustainability. Over time, growing demand of low-carbon business models could support local job creation in manufacturing, distribution, installation, and maintenance. We believe these projects can reduce a community’s environmental impact, contribute to the health and livelihood of individuals and families, and lay the groundwork for future low-carbon economic development. Carbon neutrality is just one step on our journey to fulfilling our commitment to long-term sustainability. At VMware, we’re driven to help create the infrastructure for a new world—a world that’s cleaner, healthier, more sustainable, and better for everyone.